Without our consent, the GOP has signed America up for the Fruitcake of the Month Club. Each month we get a new fruitcake topping the polls only to fall on their face in front of news cameras. We’ve had several “Anyone but Romney” candidates become front-runners leading the polls including: Donald Trump, Michelle Bachmann, Herman Cain, and Rick Perry. These popularity bubbles blow up fast with the help of the media and are gone before we know it. But much like with the economy, the GOP knows that creating bubbles offers opportunities for profit. 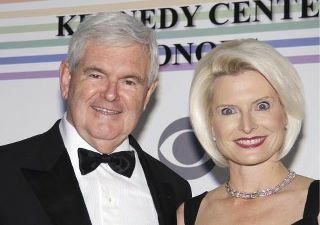 Speaking of opportunists, did someone order a Newt? Now surging in the latest polls, our temperamental blast from the past and former Speaker of the House is back in the spotlight. 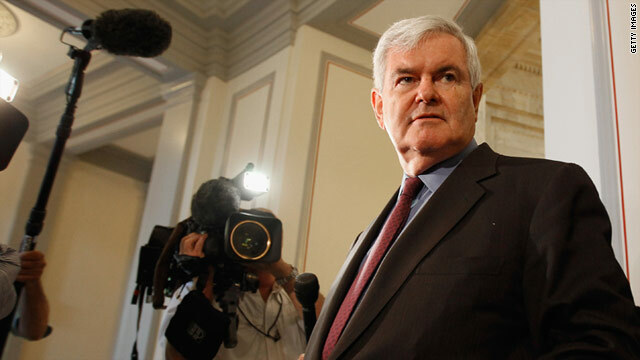 Former House Speaker Newt Gingrich is experiencing a mini-surge in November – an apparent sign that voters are sampling the wider field as their affections for some alternatives to Mr. Romney, particularly businessman Herman Cain and Texas Gov. Rick Perry, begin to diminish. The new national CBS survey of Republican primary voters shows Mr. Cain at 18 percent, a modest advantage over Romney and Mr. Gingrich, who are tied at 15 percent.